From Pennsylvania, husband says, "I was sitting at home completely helpless"
(CNN) -- Kia Scherr couldn't reach her husband and daughter after the terror attacks in Mumbai, India, and didn't know if they were alive. Alan Scherr, 58, died in the attack on the Oberoi hotel in Mumbai, his wife, Kia, confirms. She learned on Friday that her husband, Alan Scherr, 58, and 13-year-old daughter, Naomi, were killed in the assault on the Oberoi hotel. Scherr told CNN that a U.S. consular official confirmed the deaths after members of the group they were traveling with identified the bodies. Naomi and Alan Scherr had come to Mumbai with a travel group for a high-tech meditation retreat with the Synchronicity Foundation, she said. They had been there since November 17 and were due to leave Monday. The Synchronicity Foundation, a meditation group near Charlottesville, Virginia, has posted a message on its Web site saying that the Scherrs were killed at the Oberoi. Kia Scherr said she knew Thursday that her husband and daughter were dining in the Oberoi hotel restaurant when shots rang out. But she had held out hope that they were OK. 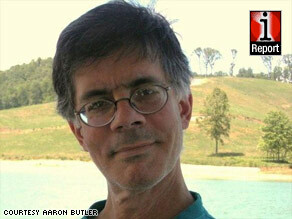 Her son, Aaron Butler, had filed iReports looking for information about his stepfather and sister. A Synchronicity spokeswoman said the Scherrs were among 25 members of the group who were visiting India. The other Synchronicity people who were staying at the Oberoi "are accounted for and safe," the group's Web site said. iReport.com: Where you there? Biswa Dash, an iReporter, says he was on the phone with his wife while she was in her room at the Oberoi during the attacks. His wife works for Hewitt Associates and was on a short-term assignment in Mumbai. Aparna Dash managed to escape her 26th-floor room and take cover in a parking lot, her husband said. At one point, Dash could not get hold of his wife. She briefly called to tell him that her cell phone's battery was low. Dash sent text messages to his wife about every 30 minutes to check on her. Finally, she made it to safety and went to stay in a colleague's home in Mumbai, Dash said. Aparna Dash later caught a flight back to New Delhi, where she had been working, according to her husband. iReporter Andrea, an American tourist who asked CNN not to use her last name, had just eaten breakfast on Wednesday at the Taj Mahal hotel, another one of the sites targeted in the terror attacks. She and her family are in Mumbai for her brother's wedding. "Over the course of the night, we heard maybe three explosions, some emergency vehicles, sirens," she said. "For the most part, the street was really quiet." The strong military presence on the street provided her some comfort, she said.